When Wesley the Golden Retriever puppy turned six months old, he went through what a lot of other dogs go through. He started to lose his baby teeth as his big, strong, adult dog teeth grew in. But there was a problem. His teeth weren’t growing in properly. The condition is called malocclusion, and it happens when teeth don’t fit together quite right and don’t allow the mouth to close fully. Soon Wesley wasn’t playing with his toys, and he was starting to lose weight, which is a terrible sign for a growing pup. Wesley’s owner, Molly Moore, was very worried about him. Luckily, her dad is a specialist in veterinary dentistry. 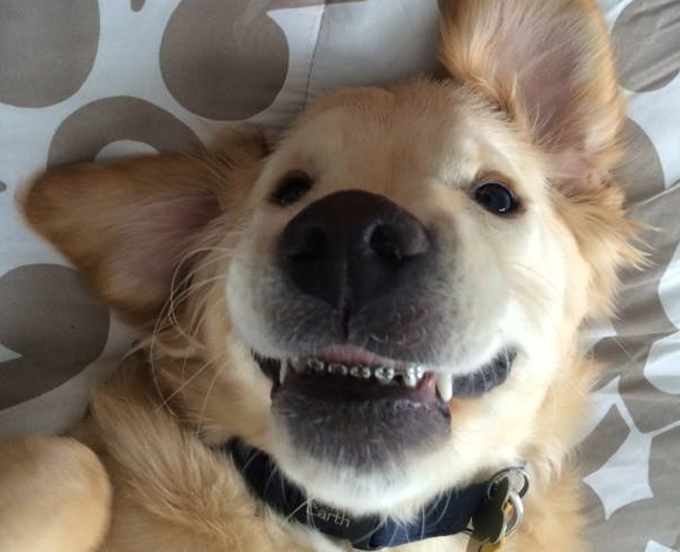 He had the solution–dog braces. 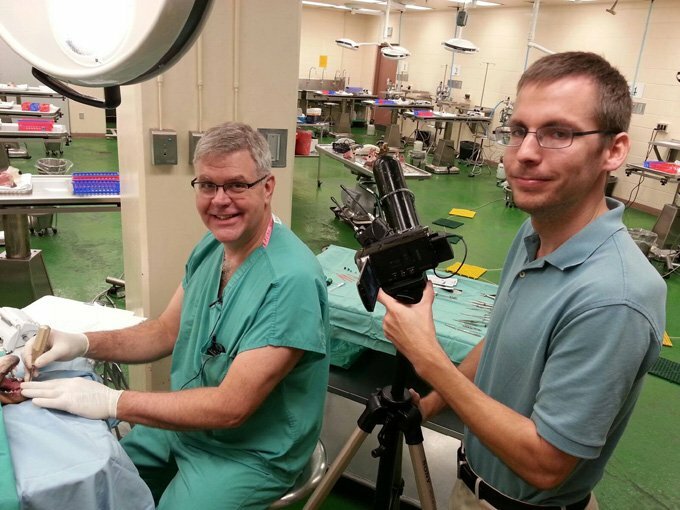 It’s an unusual, procedure that Dr. Moore only performs about four times per year. But it Wesley’s case, it was very necessary. Pictures of the pup’s new, shiny smile were posted to Facebook and have since gone viral. Anyone who has had braces like I have knows that they’re uncomfortable and deal a severe blow to the self-esteem. I had mine for several years and loathed trips to the orthodontist. Luckily for Wesley, he’ll only need to have braces for a few weeks before his smile is back in good shape. Until then, his cute, dorky, puppy smile will be there for all to see. I hope he feels like his happy puppy self again soon. Do you think the pictures of Wesley’s teeth are cute? Are you glad he’ll be able to eat right again? Let us know in the comments below!